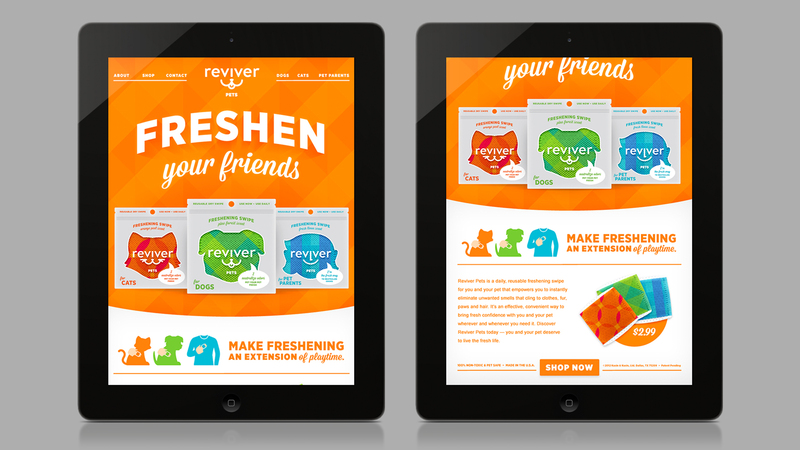 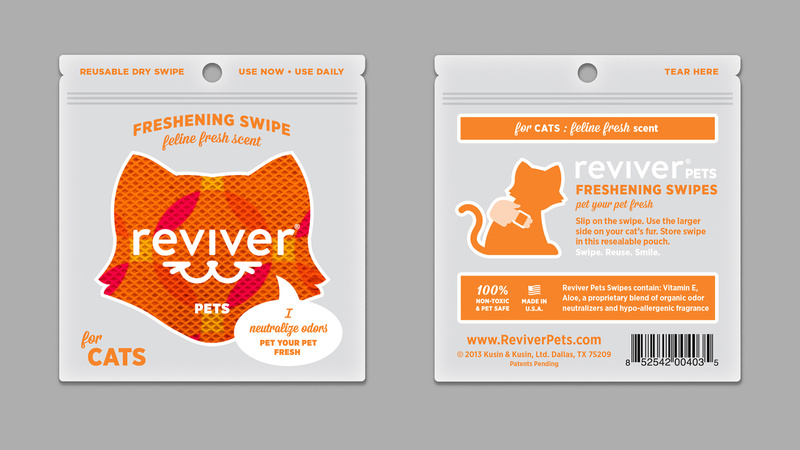 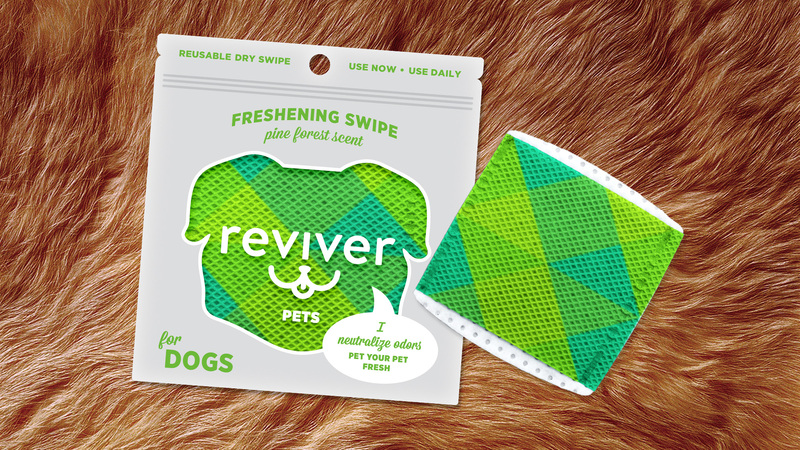 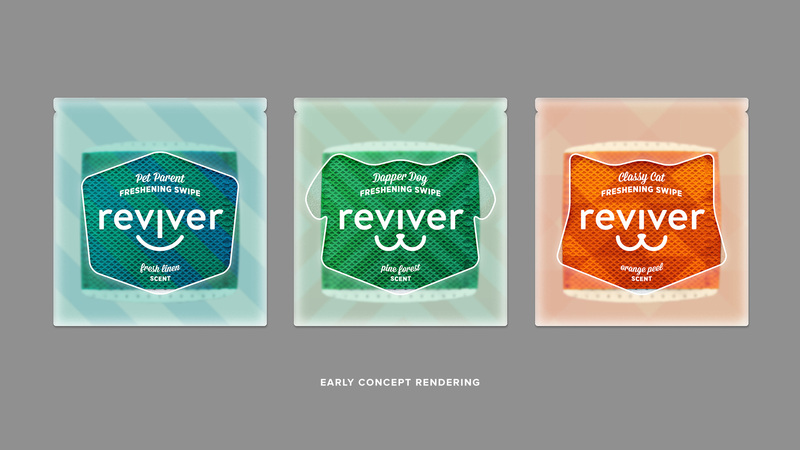 REVIVER PETS - Ferroconcrete, Inc.
Reviver is a daily reusable dry wipe to instantly eliminate odors, they asked us to craft an entirely new brand for pets. 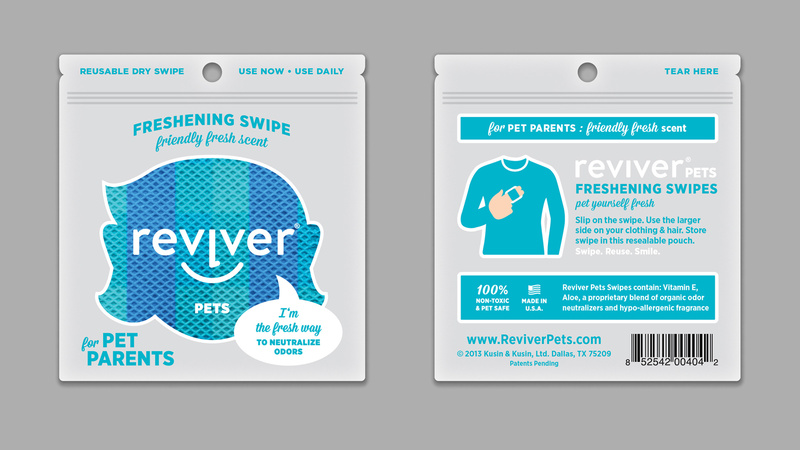 Reviver Pets is a trusted friend that could make life with a pet a little easier and a lot fresher. 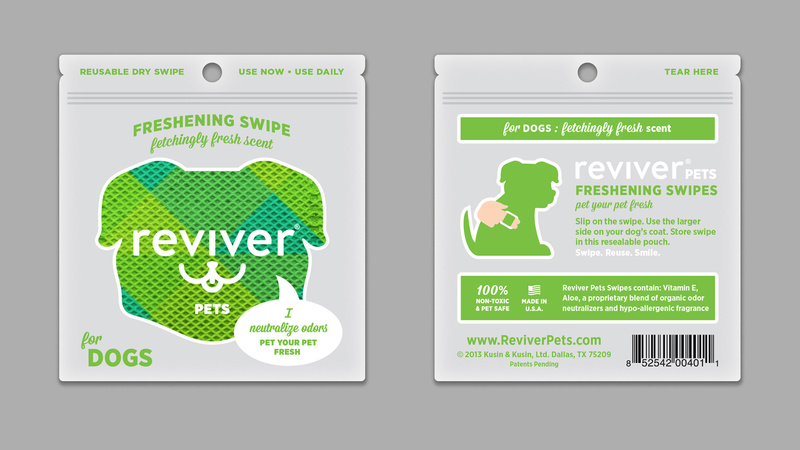 We crafted a fun and personal tone-of-voice and packaging with a window that both showed the product inside, as well as a cue on shelves for dog, cat, etc . 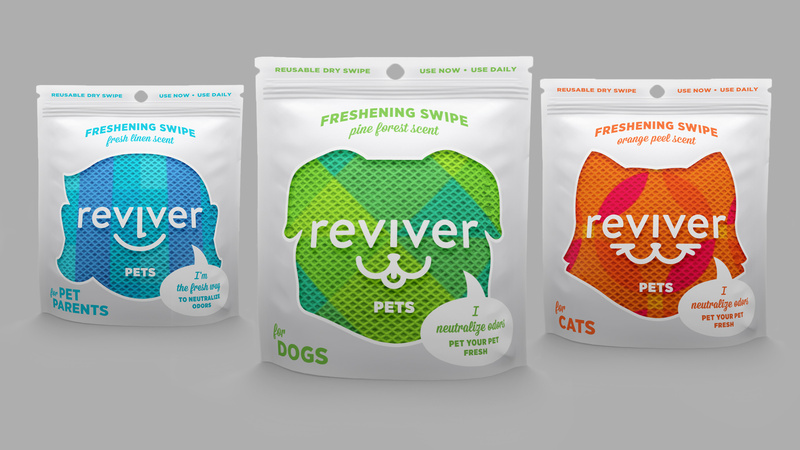 With Reviver Pets, pet owners make freshening an extension of playtime.